ATG: You've told us the detail of your London plans. But taking a step back, why this move to London …and why now? Charles Hanson: I’m an ambitious man and I’ll be 40 next year. If I don’t do it now, I never will. There is a niche in London for our service – that is, auctioneering with a passion, great customer care and selling with an element of theatre and drama. I’ve been thinking of this for three or four years, waiting for colleagues to become available. Hopefully my business plan is secure. Coming to London is a risk, but life is too short. And London’s only an hour and half away for me on the train from Derbyshire. ATG: Lots of firms are vying to fill the Christie’s South Kensington gap… Chiswick Auctions, for example, got in there quickly. Hanson: Chiswick Auctions are bigger boys and I admire the fact that they’ve taken a leap of faith into that middle range market. I would love to take on a slice of Christie’s South Kensington business – that operation was real, true theatre with a wide variety of sales – but I’d rather fall a shorter distance. ATG: You’ve hired two new staffers as well as taking on new leases. Did you seek outside funding? Hanson: We’re funding this move ourselves and will build slowly. ATG: Was taking over a going concern in London an option? Hanson: I looked at two or three but then thought about how important good will is in acquiring established businesses. That can be tarnished by a new owner taking over a going concern. So… we’re starting from scratch. 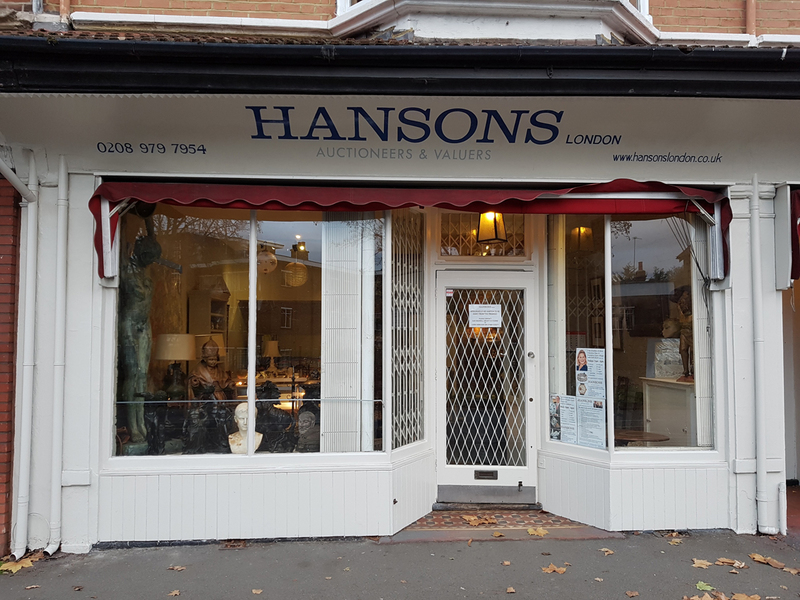 Hanson: I understand we’re not in the city, but Teddington is an affluent region and I look forward to seeing what people want to buy and sell. I want to work across London generally within a year and hold valuations further afield. But for the first 12 months our HQ will be Teddington, with a consignment office in Hampton Court Village. We’ll start nice and slow to build contacts and business. I don’t want to go in at the deep end in a market I don’t know very well. The secret will be to keep our overheads down. We’ve noticed how firms have followed our lead in moving away from the weekly sale – and in London where we’re based, we won’t have the high street overhead. 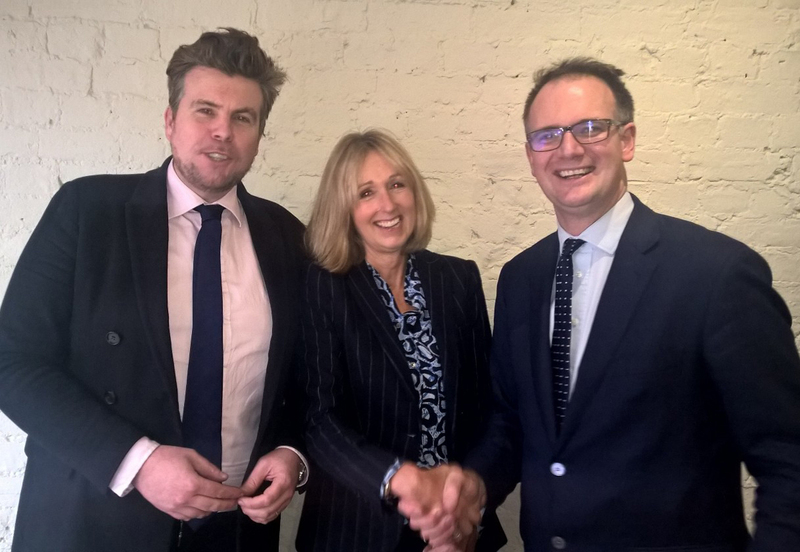 ATG: What can you offer consignors and buyers in London and Surrey that auctioneers such as Chiswick Auctions, Ewbank’s and so on, don’t already? Hanson: There’s great competition here but I’ve always said competition is great. I know I’m going into territory far from Derbyshire, but I do have contacts and have nurtured business in London over the years. Our move south will give clients alternatives. Auctioneering has gone down the technology route but you still need to undress the process and you do that by giving an air of theatre and warmth. As our business goes further down the technology line, there’s room to take the theatre back to the people. I can’t be bothered having a façade in Mayfair – I’d rather do business in the office down here and be welcoming to local people. That element can be lost in those slick, front-of-house desks. There’s no real fun in London auctioneering now but we’ll bring that from Derbyshire. ATG: You’re renting a theatre in Teddington for monthly auctions – so similar to the Catherine Southon model? Hanson: It is similar to the Catherine Southon model, in that Catherine has her office in Bromley and then sales in Farleigh Golf Club in Croydon. We have a lease, shared with a charity, on Normansfield Theatre for a period of days a month and a Hampton shop lease for five days a week. 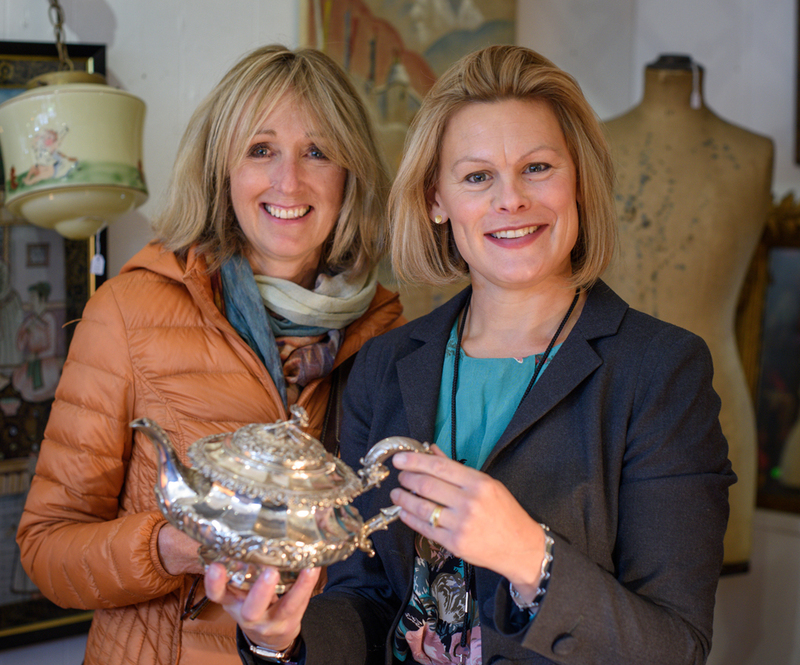 We’ll have weekly celebrity valuation days in Hampton, with Kate Bliss, Marc Allum, Adam Schoon, amongst others. ATG: Average lot values will have to be higher than in Derbyshire…Hanson: When I started my business in Derbyshire back in 2005, I was a beggar for stock! In London, though, we’ll be aiming for lot values above £80 and sales with 400 lots per month. We’ll have a van moving between London and Derbyshire and if we feel London is more suitable for some Derbyshire consignments, for example Asian and Indian objects, we’ll bring them down south. Ultimately, we want to host more specialist sales in London. ATG: How will you market Hansons down south? Hanson: Building the brand down south won’t happen overnight. It will be about maximising finds and giving them a life – hoping that local media and newspapers will give us some coverage, and social media of course. We’ll work with good causes to push ourselves out and beyond. I also hope we’ll get repeat business by giving people a warm reception when they come to consign or buy. There is scope for that in London. The city is so dense with auctioneers but I think it can be a lonely place and we don’t want to be seen as a lonely service.